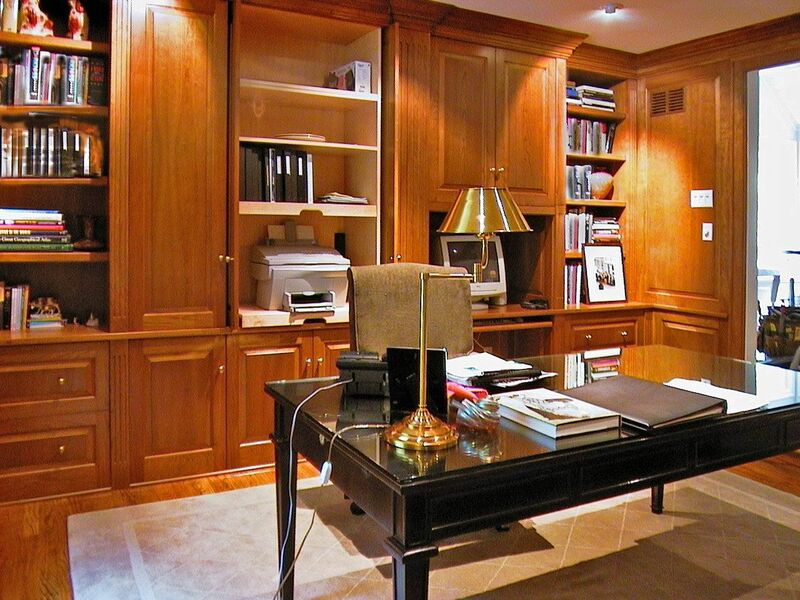 The client ran his business out of his home. 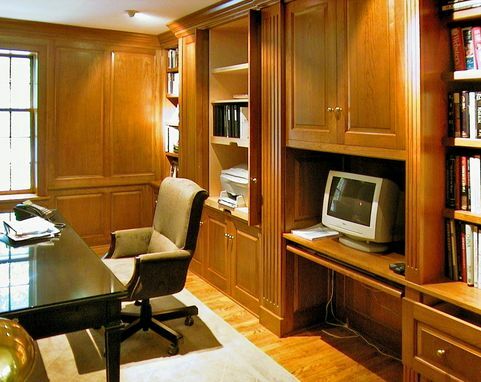 The large room was paneled floor to ceiling in raised paneling, with extensive cabinetry for the office. The computer, monitor, peripherals (laser printer, fax, etc) and a video conference system were all concealed behind full retracting doors. 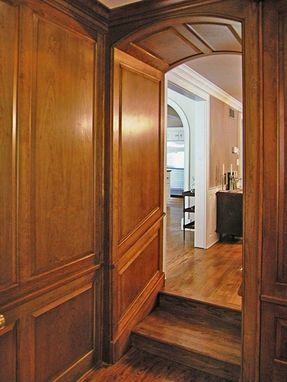 In addition, curved paneling was installed in adjacent archway.